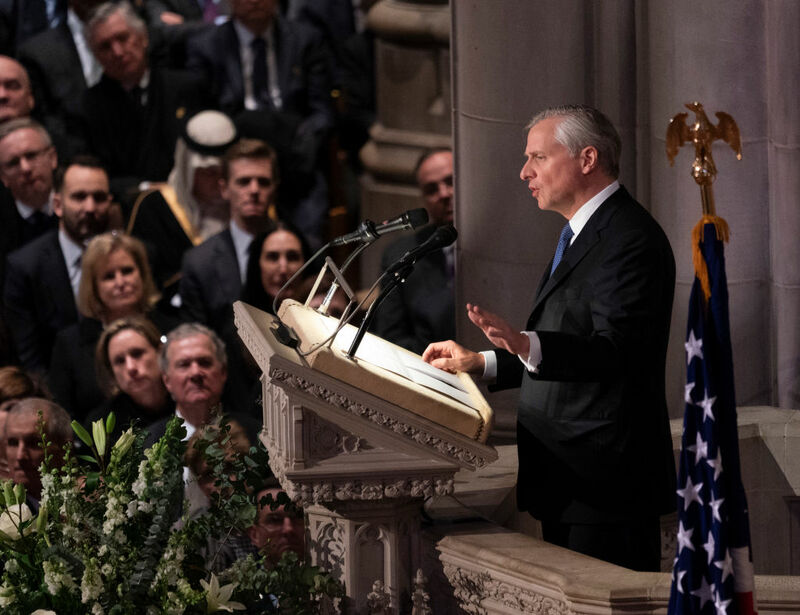 Bush biographer Jon Meacham shared the eulogy he planned on giving with former President George H.W. Bush prior to his death. MSNBC’s Willie Geist revealed on Wednesday how Bush had reacted to hearing it. Meacham eulogized the late president on Wednesday during a ceremony at the Washington National Cathedral. Bush’s casket was moved from the Capitol rotunda earlier Wednesday after lying in state for two days and was then transported to Texas for his final burial. “That was his mission. That was his heartbeat. And if we listen closely enough, we can hear that heartbeat even now. For it’s the heartbeat of a lion, a lion who not only led us, but who loved us. That’s why him. That’s why he was spared,” Meacham concluded, referencing Bush’s 1944 rescue in the Pacific.